This is an awesome shot! I feel like those eyes of hers are looking straight at me... very strong picture! You captured this very well, excellent work! This is a very documentary photograph. It tells a story about this life. 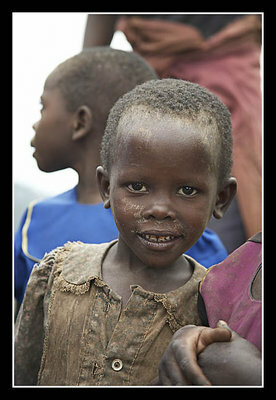 Dental dispair, lack of fresh water, and clothing needs - yet still the tenderness of a childs eyes. Wonderful shot! Thank you Lindsey. I don't shoot many people pictures, so it's good to get some great feedback on one.